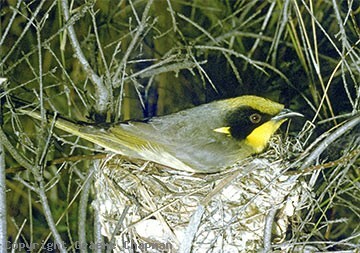 Yellow-tufted Honeyeaters inhabit forested country of eastern Australia from SE Qld down to Victoria. 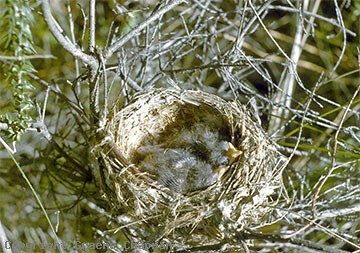 Adults at least are sedentary and live in colonies, often in valleys near water and when breeding occupy much the same places year after year. 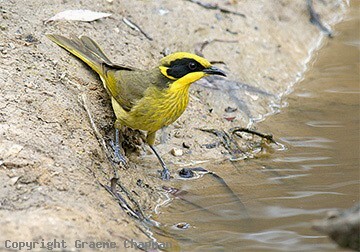 619201 ... Yellow-tufted Honeyeater, Manly Reservoir, N.S.W. 10th July 1960. 619202 ... 17th July 1960. This site is now occupied by a golf course. 619203-D ... Yellow-tufted Honeyeaer - taken in Durakai State Forest, Qld. 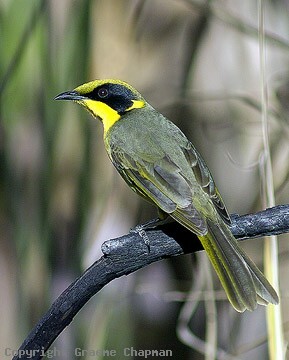 619204-D ... Yellow-tufted Honeyeater, adult, Killawarra State Forest, Victoria.